The importance of the Afferro Public License in the age of web services. 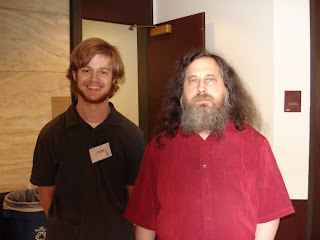 I had the chance to meet Richard Stallman on Friday. He was speaking at the NA-CAP conference at which I volunteered. All in all, very interesting, and last night I ended up joining the FSF.